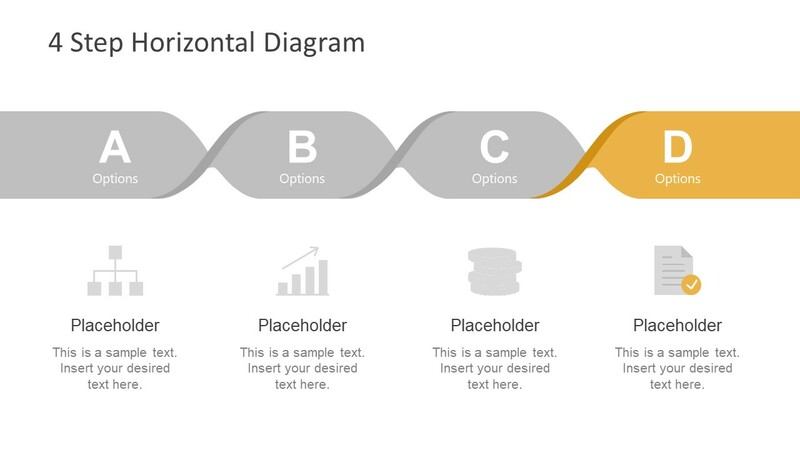 The Free 4 Step Horizontal Diagram for PowerPoint is an exceptional design of a twisted paper. 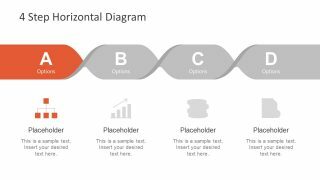 It is a process diagram for PowerPoint with 4 horizontal blocks. 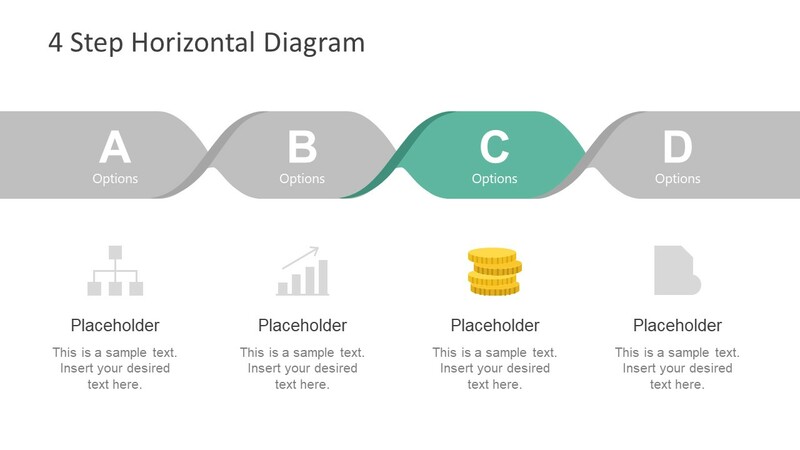 The template is a multi-purpose PowerPoint which shows four options in the twist of paper. The bold alphabetic letters represent these options along with flat clipart illustrations. 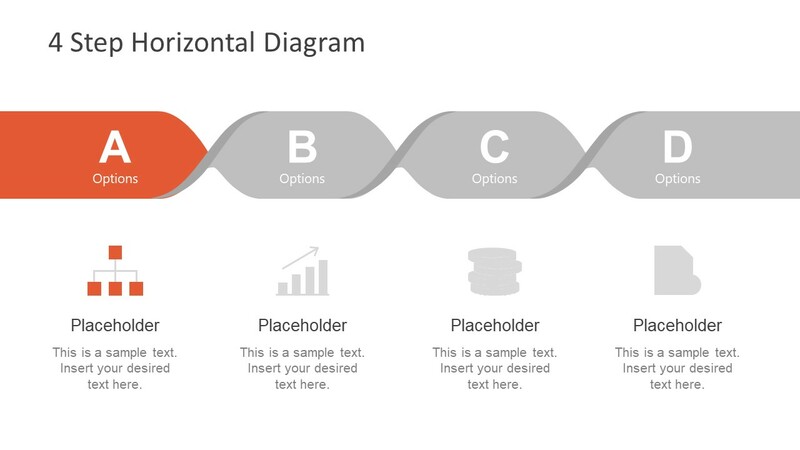 This way, the audience can quickly understand the basic idea of presentation. Moreover, the use of graphics is a visual aid to keep the message fresh in the viewer’s mind for longer. These clipart icons include a hierarchy structure, a bar chart, a pile of coins, and a verified report. Here, the icons represent the basic company profile presentation for its stakeholders. For example, it can describe the organizational structure, annual progress, discuss finances and provide a periodic report. 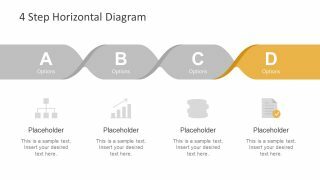 The free PowerPoint diagram of 4 step shows the progression through horizontal stages. With this template, the users can make a business professional diagram of the timeline to discuss strategies and processes. 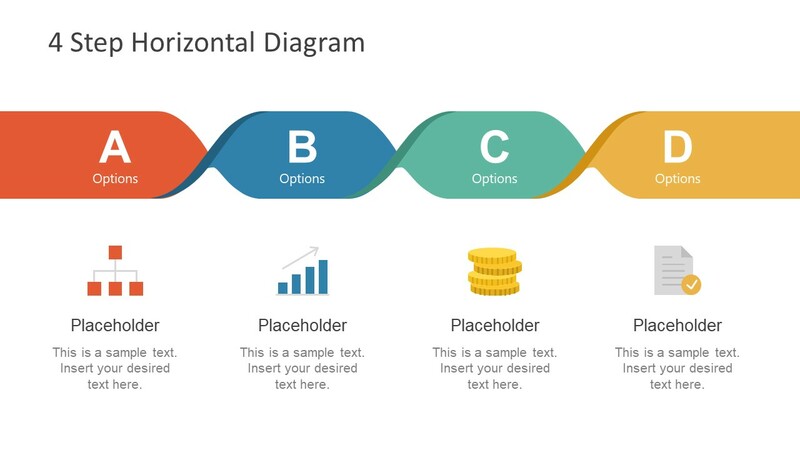 The customization of free PowerPoint offers many options to modify the layout. For instance, the colors from shape fill option in drawing format. 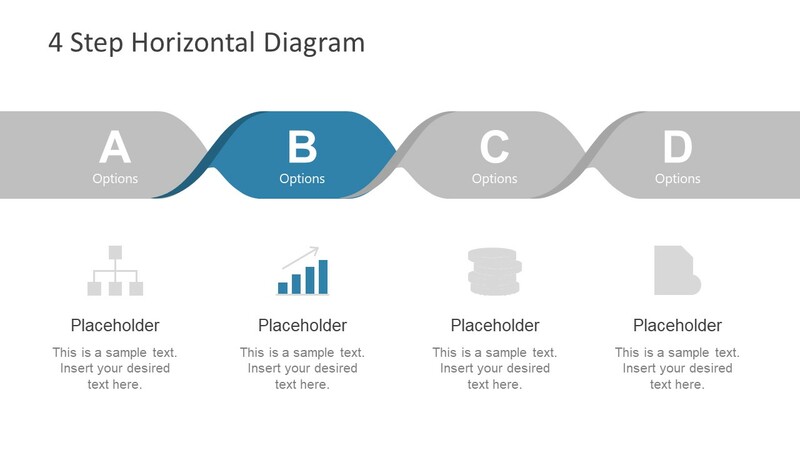 However, to illustrate the transition from one phase to another, the users can add horizontal gradient effects to the 4 steps of a diagram.